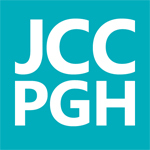 The Department of Jewish Life of the JCC of Greater Pittsburgh, in partnership with the Jewish Federation of Greater Pittsburgh, is pleased to offer local organizations with two paths to funding for teen engagement. The Partners in Teen Engagement Grant is designed for organization that are seeking to create programming for teens. These grants are driven by youth workers on behalf of teens with hopes that teens will be brought into leadership. The Teen Funders Initiative is designed for teens leading organizations who would like to fund a creative idea for which their organization does not have the funding. These grants are driven by teens with adult support.